In October 2018, WEF (World Economic Forum) launched center for “Fourth industrial revolution” in Maharashtra, India. Initially the center will work on Artificial Intelligence (AI), drones & Blockchain technology. India is the fourth country after US, China & Japan to have a center for Industrial revolution 4.0. Industrial revolution 4.0 or Industry 4.0 is the era of Cyber Physical systems. It is a collaboration of humans, machines, Artificial Intelligence, Robotics, Nanotechnology, IOT, Biotechnology etc. This current trend of fusion of technologies is basically a collaborative era. First Industrial revolution was started in 1760s. It is the transition from hand production methods to machines. So, mechanisation is the first industrial revolution. Second Industrial revolution was started from about 1880s, which included mass production, electricity etc. Third Industrial revolution was started from about 1980s. It is the transition from electrical to electronics, which means IT revolution, automation etc. It will bring massive digital transformation. It changes the way we live. And this process is already started. It will change the nature of the jobs. It has the potential to alleviate poverty. It can bring better & low cost healthcare. It can strengthen infrastructure & thereby can improve connectivity. It can be a boon for specially abled people. It touches almost every field and has the potential to improve all the sectors including agriculture, healthcare etc. It can unite world communities and also has the potential to improve conflict resolution. We can utilise Industry 4.0 to build sustainable economies & inclusive societies. It can help in achieving transparency in governance & economy. We may distance ourselves from nature more than ever. With Industry 4.0, we may not be able to distinguish between real and artificial. Still there are digital illiterates. This may widen the gap between digital literates & digital illiterates. We are already facing a lot of cyber security issues in almost all sectors. Adopting to industry 4.0 without strengthening the cyber security can worsen the situation. Industry 4.0 can result in the elimination of a lot of traditional jobs including the jobs in the IT industry. Industry 4.0 is an opportunity to improve our lives and to build inclusive societies. We need prepare ourselves to adopt to these changes. And in the process, no one should be left out. There is a need to upgrade the skills of employees of all sectors and to improve digital literacy & to upgrade the infrastructure to catch up with the Industrial Revolution 4.0. 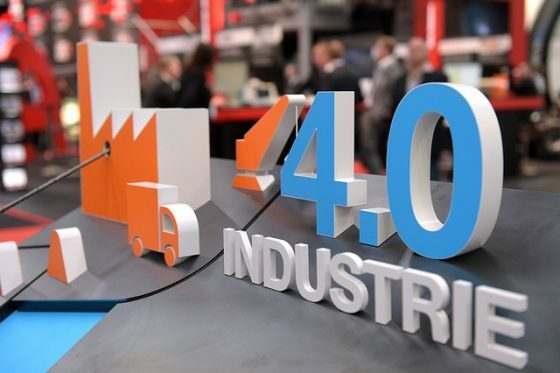 Industry 4.0 is a biggest opportunity for India because, at the time of first and second industrial revolutions, we are under British rule and were exploited for the benefit of Britain. At the time of third industrial revolution, India is still in the nascent stage of development and hence we couldn’t utilize the opportunity. But now, we have all the resources and a young population. So we need to utilize the opportunity of Industry 4.0 to improve our country as well as to improve our position in the world economies. What is your opinion on this topic? Did we miss any point? Please let us know. Express your thoughts in the comment section below. Subscribe to or blog to receive updates whenever a new post is published.